Popular Computing Weekly, 31 Dec 1987, is happy to publish a press briefing about the first year of Sega Master System sales. 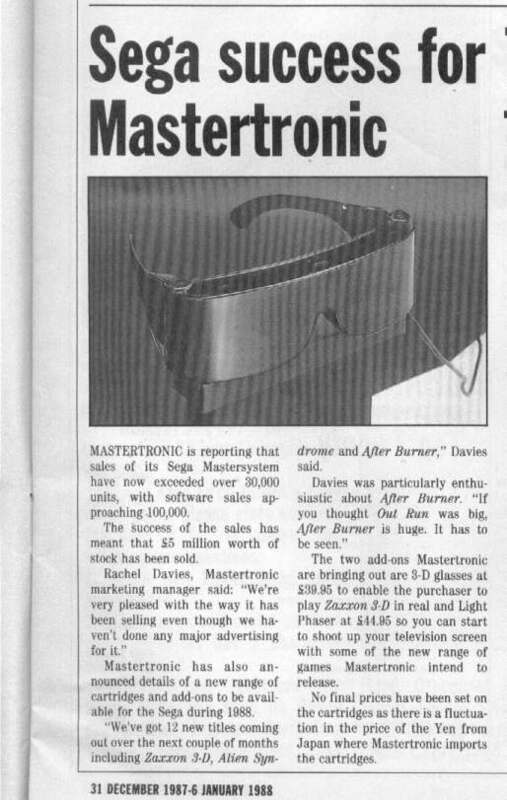 What Rachel Davies did not say is that a major number of consoles had been sold by Sega Japan to Dixons. We merely acted as the middlemen. I don't recall the 3D glasses (featured in the picture below) as being any good. Sorry about the quality of the scan, moire patterns have appeared.